I have long been aware of the need for having adequate food storage in place. Even as a child, I remember going downstairs to our small basement and helping my mother count and organize our food storage. When I married and began my own family, I was determined to build out our food storage against a time of need. That need, I knew, could arise from disaster or from loss of employment or even from a region wide lockdown such as we are currently seeing in parts of Africa as a result of disease. As I became more adept at planning and storing the appropriate kinds of food, my wife and I began to grow as much food as we could. Our goal wasn’t just food storage, but true self sufficiency. In my mind, I realized that having food storage was critical but being self sufficient gave long term peace of mind. In my studies, I came across the book by Esther Dickey called Passport to Survival . If you haven’t read it, I highly recommend getting a copy. The basic premise of the book is that with a basic food storage of just wheat, powdered milk, salt and honey, you can survive. I have all of these items in my food storage and one day, as I was thinking about my small urban lot I realized I would never be able to grow enough wheat to ensure true self sufficiency. But I could “grow” honey. So I jumped into beekeeping. The first thing I did was go to my local beekeeping store. Well, that was a disaster. I walked out of the store with more questions than I had when I went in. They used a special language in which I had not one bit of training. They talked about “supers” and “foulbrood” and “landing boards” and even “laying workers”. I had no clue what was going on and what I really needed to know. I decided to jump into beekeeping feet first and ordered my first hive as well as a starter pack of bees. While I waited for deliver, I began to read as much as I could. The information was available, but understanding came slow as I often had to reference various books to ferret out the essential nuggets. My first year, that single hive, produced 73 pounds of honey. That was incredibly exciting. Calculating based on the premise that one person needs about 60 pounds of sugar yearly, I quickly realized I only needed four or five hives to be totally self sufficient in the sugar department of my preparations. And my total time investment the first year was only about 40 hours. I added hives. As my hobby grew, friends and family caught the bug. They too wanted to get self sufficient. I helped dozens of people get started beekeeping. After several years of keeping bees, I realized that people called often with their bee questions. How much honey should I get from one hive? Contrary to my first year, the average hive produces between 40 and 50 pounds of honey annually. But I have had some hives produce in excess of 100 pounds in one year. How much is it going to cost me to get started? Well, most people can get started with less than $500. This sounds like quite an investment, but when you calculate the average cost of store bought honey at $5 a pound, you can recoup your entire initial outlay in one or two years. Additional hives run around $150 so there are some economies of scale at work. How often do you get stung? Rarely, but it happens. The appropriate protective clothing  keeps the number of stings to a minimum and working with the bees following specific protocols will minimize how much you antagonize them. How much time does it take? If you have fewer than 10 hives, you are going to spend between 20 and 50 hours annually taking care of your hives. On the low end with just one or two hives and closer to 50 if you have 8 to 10 hives. Why do you do it? For me, beekeeping represents many things. First, it represents self sufficiency. Second, it is enjoyable. I love to watch the bees as they work so hard to prepare for winter. It reminds me that I too, need to prepare for the tough times that may come into my life. 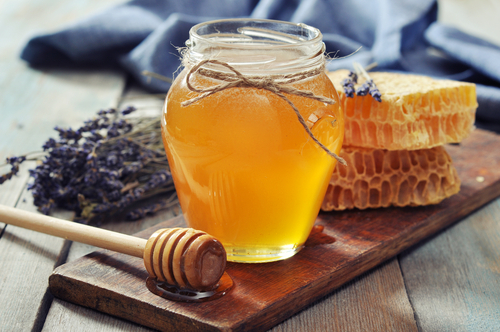 Is honey really good for you? The short answer is yes. The long answer could go on for quite some time, but quickly the answer is yes. Honey is a natural sweetener that has been recognized since ancient times as having medical benefits, including anti bacterial properties. It also contains antioxidants that have been proven to reduce heart disease and shown to help some forms of ulcers. It is fantastic for your coughs and throat irritations. In a few studies, it has been proven to be even better than your average cough syrup. It is also hygroscopic, which means it absorbs moisture. This makes it perfect as a wound dressing because it pulls out moisture from cuts and burns. Combined with the anti-bacterial benefits, it has been shown to be as effective as silver sulfadiazine. It is also a probiotic. I could go on, and I do in the book. Honey is amazing. If you are interested in keeping bees, I have recently published a book. The main goal of the book is to take a beginner and walk them step by step through the keeping and care of bees. In the book, I discuss the life of the bee, the hive structure as well as what items you need to properly care for your bees. The book, titled The Beekeeper’s Guide , is currently available in print from on Amazon and can also be purchased as an eBook for your Kindle . Get on Amazon and download the book. After you have read the book, any kind words or ratings you care to share on Amazon would be much appreciated. 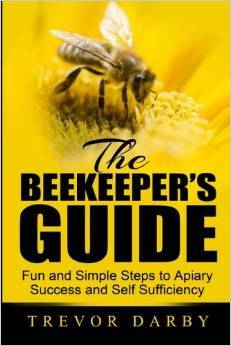 The Beekeeper’s Guide will get you up and beekeeping in no time at all. The greatest benefit from beekeeping is the knowledge that you and your family will be more self sufficient. My advice to you now is the very best time to get started beekeeping. Trevor Darby was born in Edmonton, Alberta in 1969. In the third grade he was caught skipping school; just so he could finish the book he was reading. His love of reading led him naturally into a love of writing. He writes nonfiction books geared towards helping people learn skills for self sufficient living and he is currently working on a YA fiction book that he is certain his six children will instantly fall in love with.